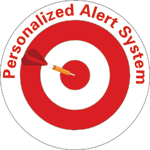 Welcome to the IAFE Personalized Alert System (PAS) page. Get connected to the latest industry news with a single e-mail notice. The IAFE understands you might not have the time to monitor industry news constantly. However, today's instantaneous news cycle means that "news" at one fair can have dramatic impact on another – across the country, around the world. Let the IAFE PAS system be your "pass" to quick information, right when you need it! How PAS works: When the IAFE Event Security News page is updated or there is important news on the IAFE Breaking News page, you will receive an e-mail alert with links to each respective page. The pages are Members Only and will require a login to access. 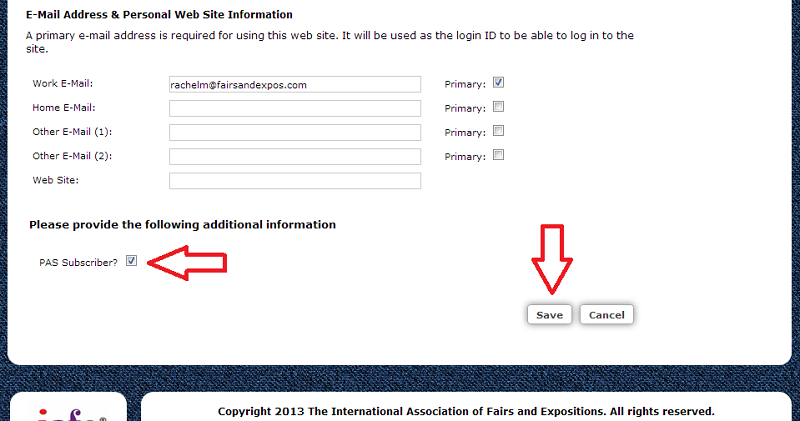 Log in to the IAFE website with your e-mail address and password. If you have trouble logging in, please contact our office. Once you are in your profile page, click the "Edit/View Information" link at the top. Scroll all the way down and check the box next to "PAS Subscriber?" and hit save. That's it! For any questions, please contact the IAFE at .